AKIPRESS.COM - In Mongolia, nomadic herders are seen as the proud heirs of Genghis Khan and are nicknamed "the emperors of the plains". But in recent years, global warming has had dramatic consequences for their way of life. The "dzuds" in particular - harsh winters, which follow scorching summers - have done terrible damage. In the steppes, weakened by the cold and lack of food, animals die out one after the other. Nomads have seen their herds of livestock decimated - already a meagre source of income., France.24 reports. Last winter, 700,000 animals were killed by the snow and freezing cold. Another one million perished the year before. This climate phenomenon known as "dzud" is not new, but in the past few years it’s become more frequent and more intense. Mongolia’s climatologists and authorities are worried. 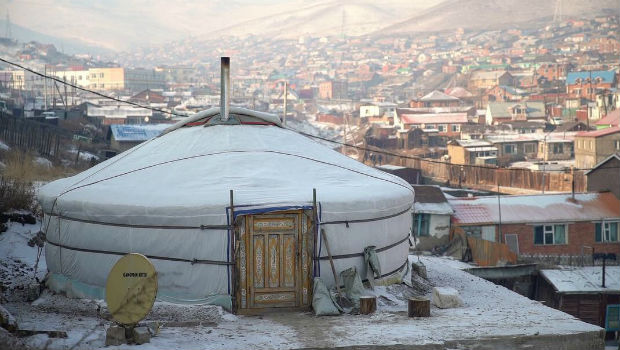 In order to avoid these extreme conditions, more and more herders are dismantling their yurts and abandoning the vast grasslands of the steppes to settle in the capital, Ulaanbaatar. But in the city, living conditions are tough. The nomads have to deal with poverty, as well as shortages of water and electricity. Lack of space is also a major issue. Ulaanbaatar was created to accommodate hundreds of thousands of people at most. Today, it counts more than 1.5 million residents – that’s half the country's population.